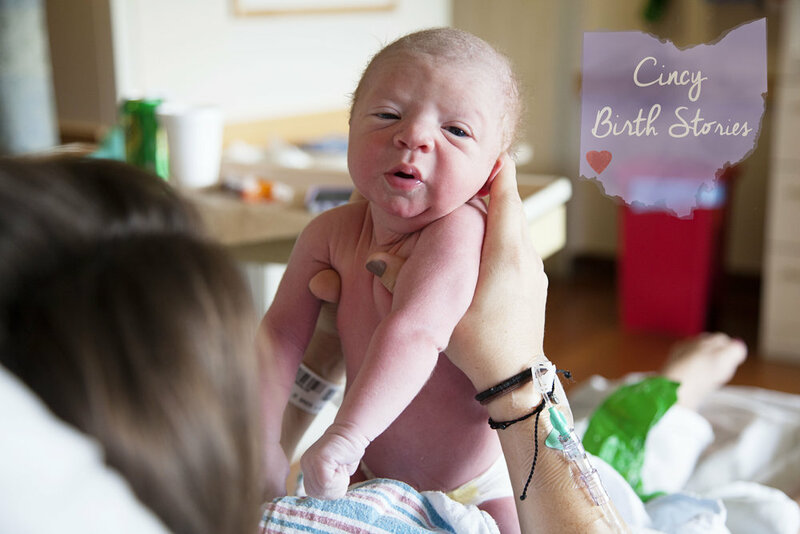 RJ's birth story documented by his mama and photographed by Cincy Birth Stories! Meaning of the name: Names after Jillian's father Richard who passed away November 1, 2015. Joseph symbolizes father in biblical terms as Jesus' father and is also Davis's fathers middle name. When Jillian's father unexpectedly passed away, she and David, who wanted a second child but unsure of the time to add to the family., decided to stop trying to plan every detail of life. Life proved to be so unexpected with no guarantees. And thus RJ. He gave us something to look forward, helping us through this time. Did you expect labor and delivery be this hard? The contractions weren't as bad as I expected. I got the epidural right before they broke my water because I expected the pain to get worse and this being my second baby, I was also afraid of immediate delivery and not being able to get an epidural in time. Surprisingly up to 6cm, the contractions were not nearly as painful as I expected. However transition was very hard, much more than I expected. It was very intense. I'm not sure it was an especially painful experience but was accompanied by anxiety and panic. I felt very little with my first son so it was very daunting to feel so much more, be told I couldn't get another bolus of the epidural, knowing that I would feel even more pain before it was all over. It was a very scary and helpless feeling knowing that I had no choice but to get through it. Once I started pushing the panic mostly set aside and it became a mission to end the pain and the pressure. Did you take any classes to prepare yourself for labor? Not this time around. We took childbirth classes with out first son. If you could change one thing about your labor and delivery what would it be? Nothing. It was absolutely perfect. We went to our regularly scheduled OB visit the day before RJ's birth and were surprised to schedule an induction the following day. Our doctor recommended that we take the day off work spending our last day as a family of three. We had lunch at Ferrari's and mall walked to encouraged labor. While putting our son to bed, I savored his last night as an only child. About 9:30pm, I shockingly noticed rhythmic contractions. We arrived at the hospital three hours prior to our scheduled induction. What was the most unexpected thing during l&d? After weeks of being 4 cm dilated, two stripping of membranes, multiple natural methods of induction used throughout the weeks prior, and scheduling an induction, I went into labor and arrived at the hospital three hours prior to induction.While pushing it was determined that RJ was not in a favorable position requiring him to be manually rotated. What was your husbands most unexpected thing during l&d? Right before pushing, the hospital staff mentioned that it was going fast and only 10 minutes away. Due to RJ'S position it took much longer, about 45 minutes. What calmed you down during l&d? Going inward and just focusing on the end result of getting the baby out and the pain/pressure ending. I also hung onto the words of encouragement within the room especially of my sister. When you first saw your baby what was your first thought? Relief. I noticed how quiet he was and how he didn't cry right away. I also noticed that he was a hairy little baby. Overall I feel like I was in a daze. David's first thought was that he was big. Who does she/ he look like? Just like his brother Dylan as a newborn and definitely resembles his dad. What was your experience having a birth photographer with you during l&d? Loved it. I loved having the moment documented with all the emotions captured in the photographs. I went into it with hesitation but have absolutely no regrets. I look forward to having a birth photographer (sonja) at my next birth.